With Max now in year 1 we are keen to start encouraging his learning at home. Luckily for us, he loves learning so it doesn’t take much encouragement at all! He has various educational apps on his iPad which he loves and we’ve recently been introduced to a website called Educational Quizzes, which so far Max is really enjoying using it. 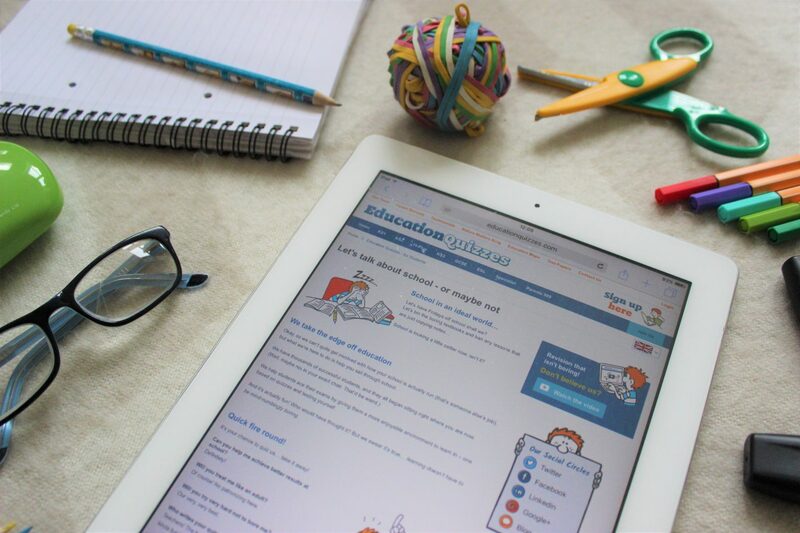 Educational Quizzes has a wide range of quizzes available for children from age 5 right up to GCSE level. There are quizzes across a range of areas from core subjects such as English and Maths to things like art and design and physics. We went ahead and browsed the Key Stage 1 section first and chose English, which is Max’s favourite subject at the moment. He had a go at the upper case and lower case letters quiz which aims to aid both handwriting and sentence level as set out in the national curriculum. Max scored 10/10 in this and he was very please with himself indeed! Next on our list will be the Maths quizzes as this isn’t Max’s strongest subject and he requires a little help with it. I’ve had a quick browse of the quizzes in the maths section and there are lots to choose from such as counting in tens, 2D shapes, finding halves and days of the week. Subscription to the site costs £9.95 per month and can be cancelled at any time. They also offer subscriptions to schools which means that a school can pay on behalf of the students and benefit from greatly reduced costs, as little as £2 per student in some cases. What do you think to Educational Quizzes? Is it something you would try with your child?